This is good news for DD Free Dish subscribers that DD Free Dish DTH, very soon migrate to newly launched satellite GSAT15. GSAT15; satellite successfully launched on date of 10th November 2015. Mr. CK Jain Dy. Director General od Doordarshan Engineer informed in official Twitter account that very soon India's Free direct to home service ( DD Free Dish) migrate to new satellite, although date has not decided yet. Here is complete statement of Mr. Jain “Date for migrating DDFreedish from insat4b to GSAT15 has not yet been decided. A wide publicity will be done in advance before migrating." We hope after this migration, Free Dish subscribers get more TV channels in MPEG-4 and MPEG-2 mode due to lots of space at satellite. Once DD Free Dish start migration, You will get all technical information here with complete frequency and installation details with Video. 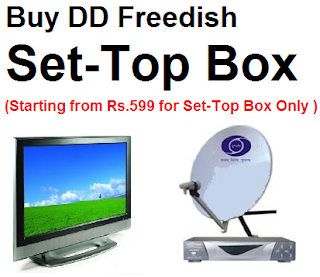 Keep visit us for latest update on DD Free Dish Dth.